Ultra HD, HDR, 8K, Dolby Vision, OLED, ports and apps explained. Buying a new television can be a minefield. Acronyms are the order of the day, served up with a side of competing technologies and an extra helping of wondering if your purchase will keep you future-proofed for a year — or a decade. After the shift from standard definition to HD, and that brief detour to 3D still being paid off in monthly instalments, the ever-widening rollout of Ultra HD, HDR, QLED and Dolby Vision is surely filling consumers with dread. Thankfully, GearBrain is here to explain the latest TV jargon — so you understand what to look for before your next television purchase. A quick recap. High Definition, or HD, arrived over a decade ago, starting with a resolution of 720p. Full HD quickly took over, pushing the pixel count up to 1080p. (There was also 1080i, but don't need to worry about that now.) The number refers to the number of horizontal pixels which make up the image your television produces. Full HD still exists; it's what many broadcasters use to show off their content, and some actually use the lesser 1080i, as it contains less data and is easier to beam into homes. Some channels also continue to run in standard definition, as does your DVD player. Blu-ray films are Full HD, as is most content available through online services like Netflix, Amazon Prime Video, HBO Go and iTunes. But this is quickly changing. Streaming services now offer a large (and growing) amount of 4K content. Apple lets its customers upgrade HD films they have bought from the iTunes Store to 4K, for free. Amazon Prime Video includes a selection of 4K content, while Netflix's 4K offerings are only available if you subscribe to the most expensive Premium tier. But instead of using 4K to describe this video, we should really use Ultra HD, often shortened to UHD. Some refer to this resolution as 2160p, but very few manufacturers and streaming services use this in marketing material, so it's not a number you need to remember. Also, Ultra HD can refer to higher resolutions too, like 8K, which we will come back to in a minute. After a slow start, Ultra HD content is now quite widely available, from YouTube, Amazon, Netflix, Apple TV and a handful of broadcast channels. Ultra HD is also used by the PS4 Pro and Xbox One X video game consoles, which play games and films in 4K. Finally, you can also watch 4K films on Ultra HD Blu-ray discs. These are a good way to watch films, as the quality is always the best it can be - whereas a UHD Netflix stream can vary in quality based on your internet connection and Wi-Fi performance. That said, Ultra HD Blu-rays are expensive, and their days could well be numbered. In February 2019, Samsung confirmed it would no longer produce updated versions of its UHD Blu-ray players in the US, suggesting it could well exit the market once its current line-up is outdated and removed from sale. In short, yes. If you are in the market for a new television then we recommend you buy one capable of displaying Ultra HD 4K content. The amount of content available will only grow, and as televisions tend to be kept for a number of years, upgraded far less often than smartphones, we believe you should future-proof yourself as much as possible. HDR (high dynamic range) is the cherry on top of the Ultra HD cake, although not all UHD screens support it. But here's why it's appealing: HDR offers a wider range of colors, brighter whites and deeper blacks. If a television carries the Ultra HD Premium label, a standard set up by the UHD Alliance, then you know you are getting 4K and true HDR. LG's Super UHD screens and those in Samsung's SUHD range all carry the Ultra HD Premium certificate, for example. And be aware: Some cheaper manufacturers cheat the system by claiming their screens offer HDR, but in fact are using software to crank up the brightness and saturation in an 'HDR mode' instead of having the processing power to produce true HDR pictures. Televisions with an 8-bit display often pull this trick, while those with a 10-bit panel can rightly claim to offer true HDR (which in this case is sometimes referred to as HDR 10). There isn't much content out there to truly test a 10-bit panel, but this is something worth future-proofing your purchase with when you're in the market. Pay a little extra for 10-bit now and you'll be able to see the best picture quality for years to come. Then there is Dolby Vision. A strain of HDR, Dolby Vision is currently seen as the best of the best when it comes to TV picture quality. Put simply, content with Dolby Vision baked-in will send instructions to the TV screen for every frame of footage. These instructions adjust the screen's brightness, contrast and color performance to make each frame look its absolute best. There isn't much Dolby Vision content out there for now, but a new high-profile offering is Our Planet, the David Attenborough-narrated nature documentary on Netflix. Finally, there is the newest picture format - IMAX Enhanced. Announced by the cinema company in September 2018, IMAX Enhanced is a certification and licensing program that states it gives consumers the highest-quality Ultra HD (4K) home cinema experience, with the best picture and most powerful audio. So, Ultra HD is a must, HDR of any kind is better, a television with a 10-bit panel and able to show HDR 10 footage is better still, and a Dolby Vision-capable screen is the best you can get. The partnership between IMAX and audio partner DTS (the latter seen as a rival to Dolby) is described by the companies as a way to "offer consumers a new level of quality in immersive sight and sound experiences for the home." From its launch in September, partners to have joined the program include Sony Electronics, Sony Pictures, Paramount Pictures, and Sound United, parent company of Denon and Marantz. Regarded by many as the very best in television technology, OLED stands for Organic Light Emitting Diode and produces deeper blacks and more vibrant colors than a regular LED screen. This isn't quality related to resolution, as above, but instead is technology used by the display panel itself. OLED panels are incredibly thin, as they don't require a backlight system, making them aesthetically more attractive. However, the prices are high and have only recently fallen below the $2,000 barrier for a 55-inch screen. You can easily spend more than double that if you want something bigger. Because OLED panels are flexible, rollable televisions like the LG Signature Series OLED R rollable television, pictured above. But, as OLED becomes slightly more affordable it could soon be usurped by another new technology (and yet another new acronym, for those keeping count). This time it's QLED, which stands for Quantum Dot Light Emitting Diode and is the latest marketing buzzword to be used by Samsung. To rival OLED, quantum dot arrived on the scene in early 2017 and boasts brighter, more vivid colors and deeper blacks — just like OLED, but more so. If you have your heart set on a Samsung, then QLED will give you the best if you want to spend whatever it takes. But if other brands float your boat, their equally expensive OLED offerings will likely impress you just as much. Should you get an 8K TV yet? The jewel in Samsung's QLED crown is its Q900 range, which also happens to be the company's first 8K televisions. As you might have guessed, these offer an even higher resolution than 4K screens, and represent the next generation of television. However, just like how 4K started a few years ago, there is very little content to watch on 8K screens. In fact, at the time of writing this (April 2019) there is basically none, outside of demonstration footage produced by Samsung itself. Cameras can shoot in 8K, and YouTube even has an 8K option, but that's about it. There are no 8K films to watch, no TV shows, no Blu-rays, no games and certainly no 8K TV channels. 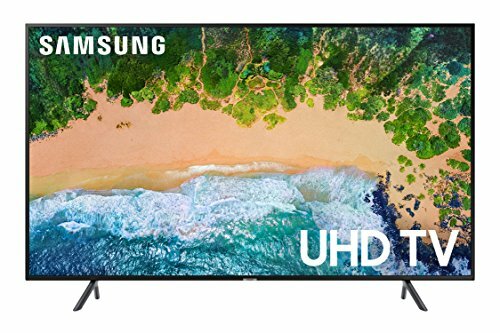 When we tried out a Samsung 8K TV in October 2018, we were blown away by the picture quality - naturally - but what also impressed was how the TV uses regularly-updated artificial intelligence to upscale 4K and HD content into 8K. This was impressive. but doesn't necessarily mean you should run out to buy an 8K TV right now. A 4K alternative will be just fine for a good few years to come (and save you heaps of money in the process). All the rage just a few years ago, 3D has fallen by the wayside and is unlikely to make a comeback any time soon. It turns out, people just don't like wearing plastic glasses to watch TV — or recharging the glasses used with active 3D screens. 3D has become so unpopular that Samsung dropped it from its televisions in 2016, the same year saw Netflix ceased offering 3D movies. Do curved screens really make a difference? Manufacturers (especially Samsung) will tell you how curved screens are better as they require less movement from your eyes and less refocusing as content at a screen's edge is the same distance from the viewer as content in the middle. That might well be true — assuming you sit right in the middle and watch TV on your own. But in reality this claim just doesn't translate into a better viewing experience. Perhaps our brains are wired to prefer curved objects to flat ones. And yes, curved TVs look cool when they are switched off. But the different glare takes some getting used to, with viewing angles reduced. In our opinion, it isn't worth restricting your options in pursuit of a curved TV. What ports does your television need? This one is relatively simple: The more HDMI ports the better. Make sure there's an Ethernet port too, for more stable Ultra HD streaming than what's possible over Wi-Fi. You will also want to include an optical audio output for hooking up a sound system (although HDMI is also an option with many systems), and a USB port for playing content off a thumb stick or portable hard drive. Additionally, make sure one of the HDMI ports supports ARC. This stands for Audio Return Channel and is a way of connecting a sound bar so that devices plugged into the TV (games console, streaming box etc) send their audio to the sound system and their picture to the TV screen. When many sound bars only have two HDMI inputs, this can be a very helpful feature. We live in a world where televisions are so complex they have their own operating systems. Samsung runs on Tizen, Sony runs on Android and LG uses webOS. All three do basically the same thing, giving you access to streaming services like Netflix (with a subscription), YouTube, media stored on USB drives, and a basic web browser.The ideal situation here is to find a TV with all of the streaming apps you want. But if that isn't possible, then don't worry. 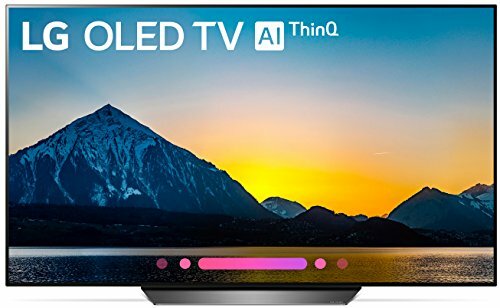 Buy the one which offers the best pictures quality (Ultra HD, HDR, HDR 10, Dolby Vision, IMAX Enhanced, in ascending order) for your budget, then pick up a streaming box. Apple, Amazon, Google and Roku all offer good candidates at a range of prices.